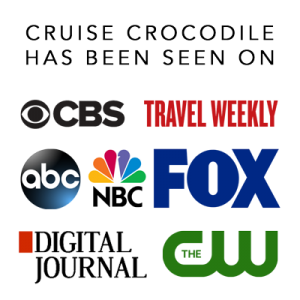 Our Rostock cruise port guide gives you information about the docking location, cruise dock, transportation options and much more! Welcome to the Cruise Port Guide Rostock. During the dark ages Rostock used was one of the most important trading posts on the Baltic. As a Hanseatic town it grew strong and the wealth the Hansa brought to Rostock is still visible today in this beautiful town. And don’t forget: Rostock is the gateway to Berlin! Berlin is the capital city of Germany. It takes about 3 hours to get to from Rostock, but it will be worth your while to get a glimpse of this immense city that offers a unique atmosphere in combination with great sights! Cruise ships dock somewhere in the port of Rostock. To check where your cruise ship will dock go to: http://www.rostock-port.de/en/cruise-shipping/port-calls/. Pier 1 to 8 is actually the cruise terminal in Warnemunde, which is a town nearby. The other docks are in the town of Rostock. The information underneath only applies to the docks in Rostock. The cruise dock in Rostock has limited facilities. Because of the remote location of the dock your cruise line should offer a shuttle service into Rostock. Check this with the front office on board of your ship. The cruise dock in Rostock is about 13 km away from the city centre of Rostock. There are usually taxis available at the port. Negotiate a price before you step in. Expect a taxi to Rostock will cost you about 25 euro one way. Taking the train from Rostock to Berlin takes between 3 and 4 hours and costs between 40 and 50 euro one way. The train schedule is pretty infrequent. Always plan your journey ahead of time through this website: https://www.bahn.de/p_en/view/index.shtml. The train station to choose are Rostock Hbf and Berlin Hbf (main train station). Cruise ships can dock in Warnemunde but also in Rostock. Make sure to double check where your ship is planned to dock. Warnemunde has an entire cruise terminal available and Rostock does not. From here you will need transportation to get to the city center. 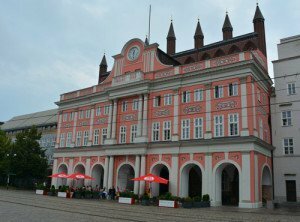 Some cruise liners will offer a shuttle service from the Rostock port to the old town. 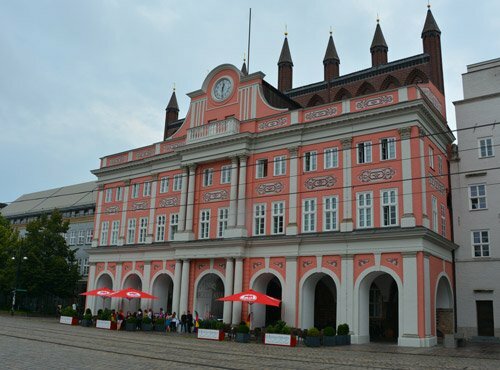 Read the full Rostock cruise port guide for the full information.